MMM is a series of international conferences focused on understanding, conservation, and sustainable use of mangrove ecosystems worldwide. These meetings were initiated in 2000 to raise awareness about the plight of mangroves, which remains one of the most threatened ecosystems on Earth. The MMM conferences are convened by mangrove scientists at 4-6 year intervals in locations around the world where mangroves form a major component of the coastal landscape. The Mangrove & Macrobenthos Meeting (MMM4), will be hosted in the USA along the Atlantic Coast of Florida, July 18-22, 2016. The conference will be held at Flagler College, in historic downtown St. Augustine. This location along the Atlantic Coast of Florida represents the transition between temperate and tropical zones where the pressures of climate change are especially visible. As a result of decreasingly cold winters and sea level rise, the distribution of mangroves is expanding northward and landward along this part of the Florida peninsula into coastal wetlands that have historically been dominated by saltmarsh plants. This location, which currently contains the northernmost Atlantic exemplars of all three mangrove species found in North America, provides numerous opportunities for conference attendees to witness the consequences of climate change at this dynamic ecotone, setting the stage for an international discussion on the causes and consequences of mangrove ecosystem responses to an ever-changing climate. 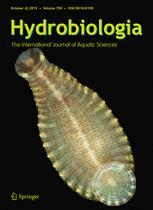 MMM4 participants will be eligible to submit a paper to a Special Issue of the journal Hydrobiologia focused on the biology and ecology of mangrove ecosystems, scheduled to be published in July 2017. MMM4 stands for the 4th Mangrove and Macrobenthos Meeting. This meeting is an international discussion on the causes and consequences of mangrove ecosystem expansion in an ever-changing climate. Join us this year in St. Augustine, FL on the historic grounds of Flagler College. Follow us on either Facebook or Twitter to stay updated on the latest information regarding the conference.